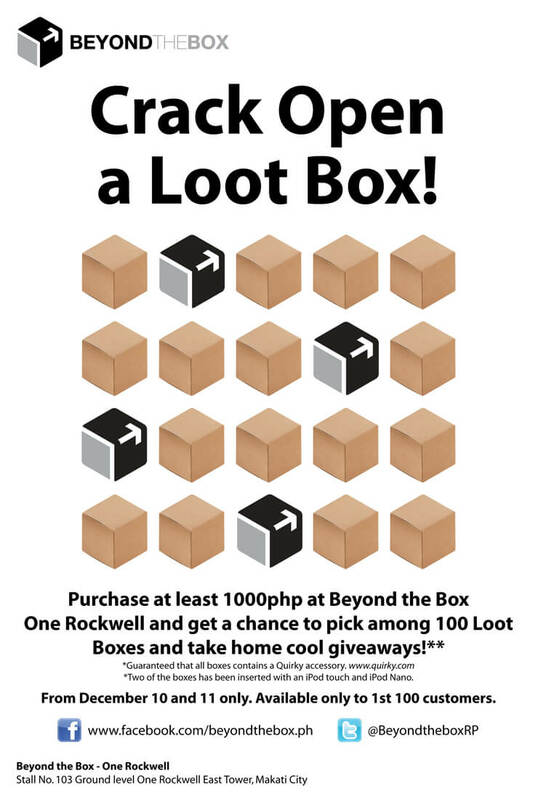 Crack open the box and get more than what you pay for atÂ Beyond The Box One Rockwell,Â the newest Apple Premium Reseller in town as they launch their flagship store! For every minimum purchase of P1,000 of any item each customer will get a loot box containing instant giveaways and the thrill is in the mystery of what you’ll get. The boxes might include a variety of items such as headphones, cases, chargers, or even an iPod! The promo is only going to run for two days, December 10 and 11, so hurry on down to the store because it’s only limited to a total of 100 boxes!